In 1887, Wovoka, a Paiute medicine man, had a vision where he met God. Wovoka was told that he must teach his people that they must love each other, live in peace with the white people, and must work hard and not lie or steal. Wovoka was given a dance by God that had to be performed for five consecutive days. Wovoka performed what became known as the Ghost Dance. This involved the men holding hands in a circle and shuffling slowly to the left while singing special songs about how Native American life would be restored to its former order and balance. Wovoka claimed that performing this dance would result in the return of the buffalo. News about Wovoka's teachings spread to other Native American tribes. The most enthusiastic supporters of this new cult was the Sioux. This alarmed white settlers in the area who thought it was a preparation for further hostilities. They called for help and by 1890 nearly 3,000 members of the 7th Cavalry arrived to protect the settlers. This resulted in the Wounded Knee Massacre and this brought an end to the Ghost Dance cult. When you get home you must make a dance to continue five days. Dance four successive nights, and the last night keep us the dance until the morning of the fifth day, when all must bathe in the river and then disperse to their homes. You must all do in the same way. Do not tell the white people about this. Jesus is now upon the earth. He appears like a cloud. The dead are still alive again. I do not know when they will be here; maybe this fall or in the spring. When the time comes there will be no more sickness and everyone will be young again. Do not refuse to work for the whites and do not make any trouble with them until you leave them. When the earth shakes (at the coming of the new world) do not be afraid. It will not hurt you. I want you to dance every six weeks. Make a feast at the dance and have food that everybody may eat. Then bathe in the water. That is all. You will receive good words again from me some time. Do not tell lies. We drove to this spot about 10.30 oclock on a delightful October day. We came upon tents scattered here and there in low, sheltered places long before reaching the dance ground. Presently we saw over three hundred tents placed in a circle, with a large pine tree in the center, which was covered with strips of cloth of various colors, eagle feathers, stuffed birds, claws, and horns-all offerings to the Great Spirit. The ceremonies had just begun. In the center, around the tree, were gathered their medicine-men; also those who had been so fortunate as to have had visions and in them had seen and talked with friends who had died. A company of fifteen had started a chant and were marching abreast, others coming in behind as they marched. After marching around the circle of tents they turned to the center, where many had gathered and were seated on the ground. I think they wore the ghost shirt or ghost dress for the first time that day. I noticed that these were all new and were worn by about seventy men and forty women. The wife of a man called Return-from-scout had seen in a vision that her friends all wore a similar robe, and on reviving from her trance she called the women together and they made a great number of the sacred garments. They were of white cotton cloth. The women's dress was cut like their ordinary dress, a loose robe with wide, flowing sleeves, painted blue in the neck, in the shape of a three-cornered handkerchief, with moon, stars, birds, etc., interspersed with real feathers, painted on the waists, letting them fall to within 3 inches of the ground, the fringe at the bottom. In the hair, near the crown, a feather was tied. I noticed an absence of any manner of head ornaments, and, as I knew their vanity and fondness for them, wondered why it was. Upon making inquiries I found they discarded everything they could which was made by white men. The ghost shirt for the men was made of the same material-shirts and leggings painted in red. Some of the leggings were painted in stripes running up and down, others running around. The shirt was painted blue around the neck, and the whole garment was fantastically sprinkled with figures of birds, bows and arrows, sun, moon, and stars, and everything they saw in nature. Down the outside of the sleeve were rows of feathers tied yb the quill ends and left to fly in the breeze, and also a row around the neck and up and down the outside of the leggings. I noticed that a number had stuffed birds, squirrel heads, etc., tied in their long hair. The faces of all were painted red with a black half-moon on the forehead or on one cheek. As the crowd gathered about the tree the high priest, or master of ceremonies, began his address, giving them directions as to the chant and other matters. After he had spoken for about fifteen minutes they arose and formed in a circle. As nearly as I could count, there were between three and four hundred persons. One stood directly behind another, each with his hands on his neighbor's shoulders. After walking about a few times, chanting, "Father, I come," they stopped marching, but remained in the circle, and set up the most fearful, heart-piercing wails I ever heard-crying, moaning, groaning, and shrieking out their grief, and naming over their departed friends and relatives, at the same time taking up handfuls of dust at their feet, washing their hands in it, and throwing it over their heads. Finally, they raised their eyes to heaven, their hands clasped high above their heads, and stood straight and perfectly still, invoking the power of the Great Spirit to allow them to see and talk with their people who had died. This ceremony lasted about fifteen minutes, when they all sat down where they were and listened to another address, which I did not understand, but which I afterwards learned were words of encouragement and assurance of the coming messiah. When they arose again, they enlarged the circle by facing toward the center, taking hold of hands, and moving around in the manner of school children in their play of "needle's eye." And now the most intense excitement began. They would go as fast as they could, their hands moving from side to side, their bodies swaying, their arms, with hands gripped tightly in their neighbors', swinging back and forth with all their might. If one, more weak and frail, came near falling, he would be jerked up and into position until tired nature gave way. The ground had been worked and worn by many feet, until the fine, flour-like dust lay light and loose to the depth of two or three inches. The wind, which had increased, would sometimes take it up, enveloping the dancers and hiding them from view. In the ring were men, women, and children; the strong and the robust, the weak consumptive, and those near to death's door. They believed those who were sick would be cured by joining in the dance and losing consciousness. 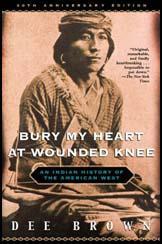 This was the status of the Messiah craze here on November 16th, when I made a trip to Sitting Bull's camp, which is forty miles south-west of Agency, to try and get Sitting Bull to see the evils that a continuation of the Ghost dance would lead to, and the misery that it would bring to his people. I remained over night in the settlement and visited him early next morning before they commenced the dance, and had a long and apparently satisfactory talk with him, and made some impression upon a number of his followers who were listeners, but I failed in getting him to come into the Agency, where I hoped to convince him by long argument. Through chiefs Gall, Flying-By and Gray Eagle, I succeeded in getting a few to quit the dance, but the more we got to leave it the more aggressive Sitting Bull became so that the peaceable and well-disposed Indians were obliged to leave the settlement and could not pass through it without being subjected to insult and threats.The "Ghost Dancers" had given up industrial pursuits and abandoned their houses, and all moved into camp in the immediate neighborhood of Sitting Bull's house, where they consumed their whole time in the dance and the purification vapor baths preparing for same, except on every second Saturday, when they came to the Agency for their bi-weekly rations. (4) W. H. Prather, a member of the Ninth Cavalry, wrote a poem about the Ghost Dance in 1890. But Uncle Sam wouldn't have it so, for he ain't built that way. And may be so we lead the way into the great Bad Land. "You had better stop your fooling or we'll bring our guns to play." This chief made sure he had a chance of vantage in the fight. Although you lost some gallant men a glorious fight you've won." And waited orders night and day to round up Short Bull's band. And while the latter rounded up, the former held the fort. For every time the Hotchkiss barked they say a hostile fell. And now the campaign's ended and the soldiers marched away. And all helped break the ghost dance up and drive the hostiles in. They only ask and pray to God to make John hold his base.